I purchased this item myself, all opinions are my own and not sponsored by Patagonia. You can find more information about this sleeping bag at Patagonia’s site. I was in need of a light-weight three season sleeping bag for backpacking and I was looking at a few options in the $300 price range when a friend of mine sent me her friends and family discount code to Patagonia. I figured why not buy a $500 sleeping bag for the price of a $300 sleeping bag! It was a bit of a risk since I was unable to test the bag out beforehand and would be unable to return it, but I love my gear from Patagonia so I wasn’t worried. The first thing I noticed when the bag arrived is how light yet durable the shell fabric is. It feels thin, but super strong. The down also feels insanely light and lofty compared to other bags at this temp rating that I tried out at REI. The inner lining fabric is the same fabric they use for their Houdini jackets and it’s super light and surprisingly comfy to sleep in. They managed to keep this bag light for the temperature rating, it weighs in at 2 lbs total. It might be weird for some, but I personally love the middle zipper. It’s meant for climbers to be able to be roped in while in the bag (something I most likely will never be doing) but I much prefer it to a side zipper. The only drawback is that when the bag is fully zipped the zipper cord can get into your face while you sleep. I sleep with my arms out of the bag for most of my backpacking trips so this hasn’t been a huge issue for me. When I do have the bag fully zipped it takes a little fussing around in order to keep the zipper and hood cords out of my face. It’s a little annoying but not enough for me to stop using the bag. The bag out in the wild. As this is a unisex bag I was a little concerned about the temperature rating, but it’s been totally accurate. I had one cold windy summer night camped on an exposed ridge where I didn’t pack my wool base layers. I woke up a little cold, but that seemed to be my own error wearing super light summer clothing and hoping to be warm enough in the wind. My tent-mate packed a 20 degree quilt and also woke up cold. Since then I always bring my base layers and a fleece jacket on every trip and generally I wake up way too warm/sweating at some point. On my trip to Thousand Island Lake the temps dipped to the low 20’s and we had high winds. I packed a puffy blanket and sleeping bag liner just in case and ended up needing neither. I feel totally comfortable taking this bag and a liner on fair weather snow camping trips. Overall I am super happy that I purchased this bag. It packs down small, it’s light, and it keeps me super toasty on cold nights. I have other sleeping bags but this is the only one I reach for unless it’s forecasted to be over 50 degrees at night (not something that happens often in the mountains). It is a little overkill for backpackers so if you don’t have a discount there are plenty of $300 sleeping bag options in this temperature range that will probably serve you just as well. 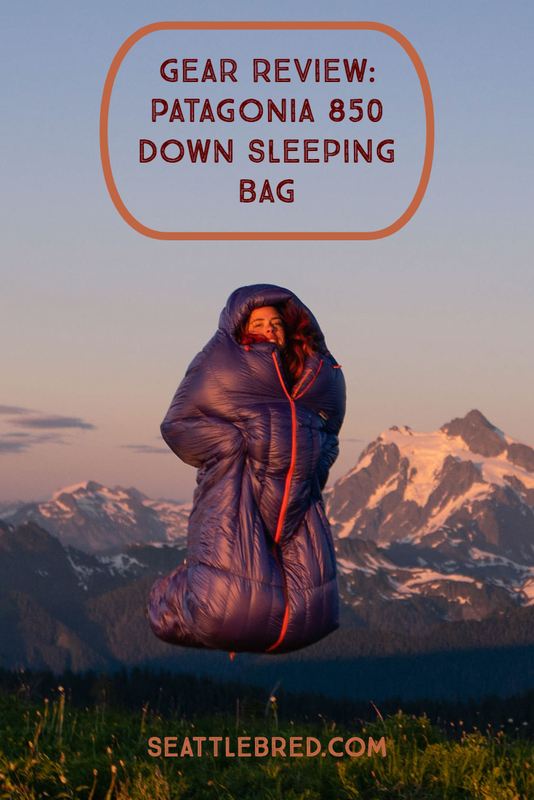 If you also need a sleeping bag for climbing this bag is perfect for you!